These page will be used as a "clearing house" of Alcantarea pictures and accompanying notes in an attempt to fix names to individual plants. See "explanation" link for background. Even probable "species" will be temporarily listed here, with temporary names, to give access to experts from around the world. Click on thumbnail for a full sized image in a new window. Picture taken at Mark Grubski's Nursery early in 2006, by Ken Woods. 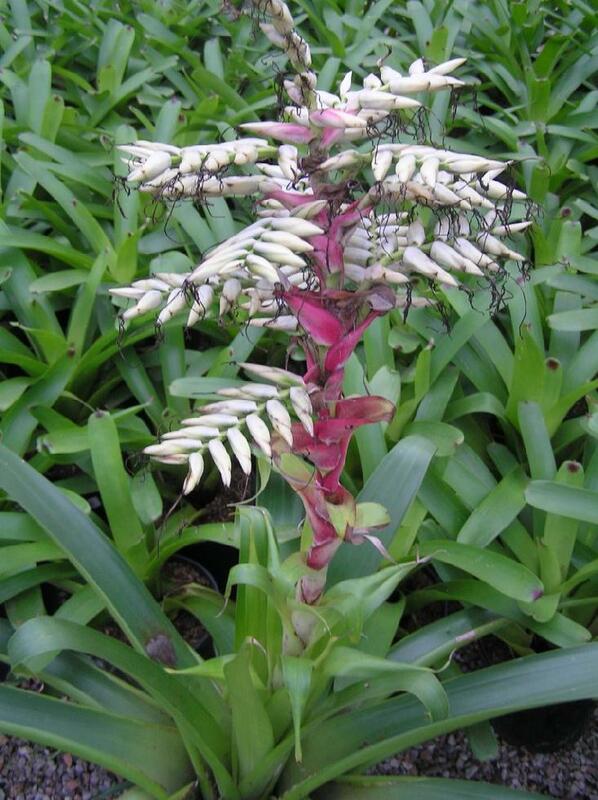 Derek Butchers opinion was that if it has a white flower then it's most probably Alcantarea glaziouana. Unfortunately it has finished flowering. Can anyone offer Ken any sugestions to help identify it ?